Home » Frequently Asked Questions » What is a Medicare Set Aside and Should I be Worried about it? What is a Medicare Set Aside and Should I be Worried about it? How Does a Medicare Set Aside Account Work? 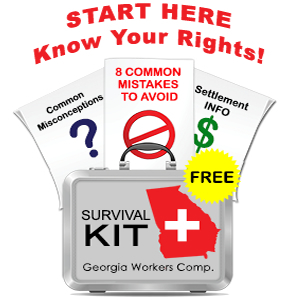 When you settle your Georgia workers’ compensation case for more than $25,000 (or there is a likelihood of future medical expenses exceeding $250,000), Medicare will get involved to demand that part of your settlement be set aside to cover future medical costs. Medicare recognizes that while your settlement will conclude the obligation of your employer’s workers’ comp. insurer to provide medical care, you may have on-going medical needs. Medicare does not want you to put the entire burden of future medical care on the Medicare system. So, as part of your settlement your lawyer may need to negotiate a “set aside” with Medicare. 1 Workers compensation carriers seem to be somewhat inconsistent on whether they are requiring MSA’s in general and whether they are requiring that Center for Medicare Services ( CMS) approves them at all, before the settlement is approved or after. Here is an example: let’s say that you suffer a back injury at work which has resulted in surgery for a herniated disc. While you are recovering, you and your lawyer decide that now is the time to maximize your settlement and you work out a $100,000 settlement deal. At this point, a liaison company is hired to review your medical records and pharmacy records and proposes a dollar value to CMS, with copies to your lawyer and the insurance company. If the MSA is too high the workers compensation carrier may not agree to settle the case in total or your attorney and the insurance company may work to have the MSA reduced or it may remain. Of course the injured worker is kept apprised of all of this and does have some input as to whether they want a high MSA or are in agreement to lower it so the settlement may proceed. If, for example, it is determined under the MSA that $10,500 will be paid for future medical under the settlement in the MSA account, you, as the claimant, will have access to this account if you are deemed able to manage your funds. The MSA funds MUST only be used to pay for medical care medication due to the work injury. In some cases, a third party will be designated to serve as the payee/administrator for the set aside account. The MSA money may be paid in a lump sum to be put into a separate account or it may be paid out in an annuity over time. Periodically, Medicare will audit this account to verify how you have used this money (you should always keep your doctor’s information, date of appointments, canceled checks and receipts). If Medicare finds that you have used this money for some other purpose, they will recover the money back from your Social Security disability payment and/or offset your Medicare reimbursements. Attorney’s fees, by the way, will be calculated on the lump sum value excluding any part of the MSA money.